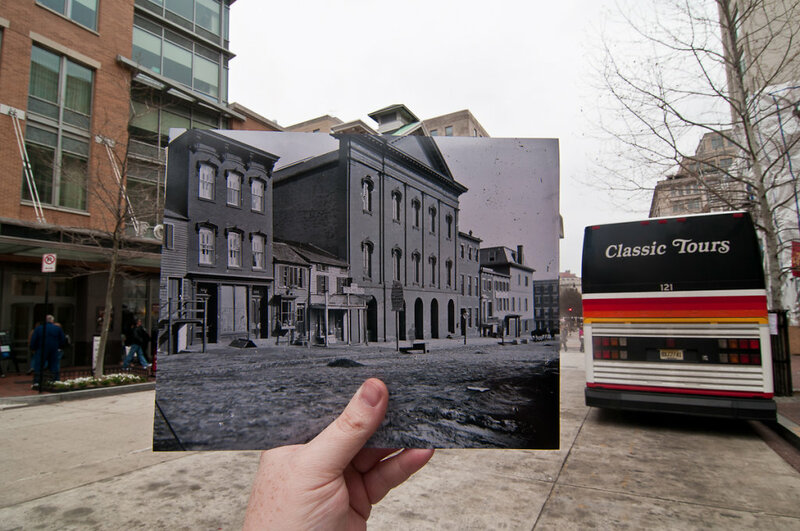 This is Ford's Theatre as Lincoln saw it, taken soon after his assassination on April 14th, 1865. Obviously, quite a lot has changed here, but luckily, Ford's Theatre still remains. This is a really busy tourist area now, so it was appropriate that there is a big ugly tour bus in the shot.